NEWINGTON - Century 21 Stamm Realty is a real estate brokerage that has been in business for 44 years, helping customers have the best possible experience when it comes to buying and selling homes. 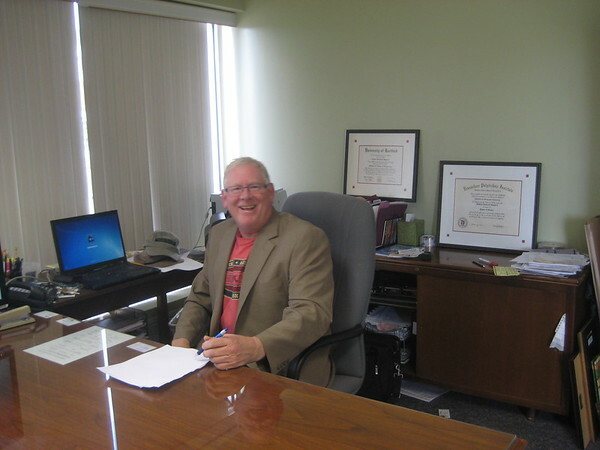 Clifford “Chip” Stamm is a designated broker and the owner of the Newington and Cromwell franchises. Stamm said that the mission of his business is to serve the community by helping people work their way through selling their home and finding a qualified buyer who can get a mortgage. Century 21 Stamm Realty also offers real estate consultation. The business has approximately 20 agents who are subcontractors between the Newington and Cromwell offices. Agents discuss real state needs with clients in case the solution is not to sell. The business encourages designated agency, through which both the buying and the selling sides are represented. The company can help clients from the beginning of the process to educate them in getting the house inspected, staging it and marketing the photos of the property. “That’s why we want to get customers before they list their house so they can get it prepared right,” Stamm said. Century 21 Stamm Realty is syndicated with over 500 real estate websites through Century 21 to market the homes to a wide audience. In addition, agents are able to tell buyers what needs to be fixed in the property they are looking at, how much money remodeling would take and if the property doesn’t need immediate fixes, agents can tell buyers what kind of expenses can be expected in the next five years. “We have the experience and technology to give you the best home buying experience,” Stamm said. To learn more about Century 21 Stamm Realty, contact Stamm at 860-558-8310, chip@century21.com or visit the website, www.stammeddyrealty.com . Posted in New Britain Herald, Business, on Tuesday, 6 November 2018 21:57. Updated: Tuesday, 6 November 2018 21:59.